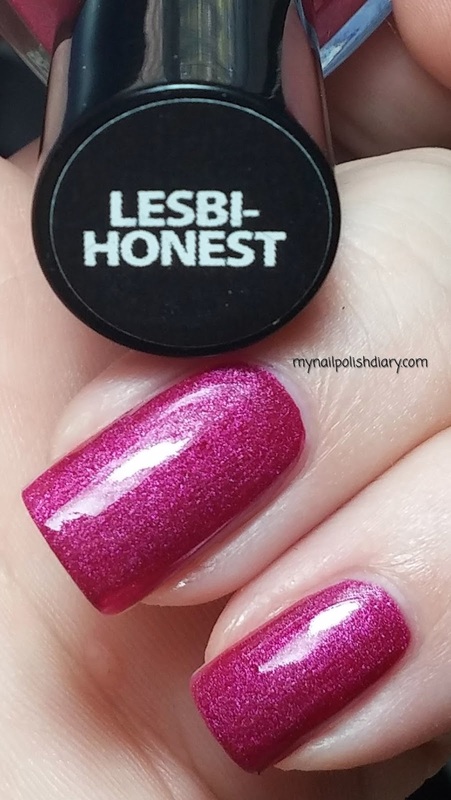 Not surprisingly I have ManGlaze Lesbi-honest with top coat today. I didn't even last 12 hours before I had to top coat Lesbi-honest. But look how pretty it is with top coat! It brings out a silver shimmer that's so sparkly and eye catching. I can't take my eyes off my nails! Are you able to wear matte all day or do you top coat too? I love this polish! Granted I'm biased since I named it haha but it looks gorgeous! I actually love a matte finish so I generally leave them matte! I can see why you'd be biased! It's a fun color. I really enjoy it.